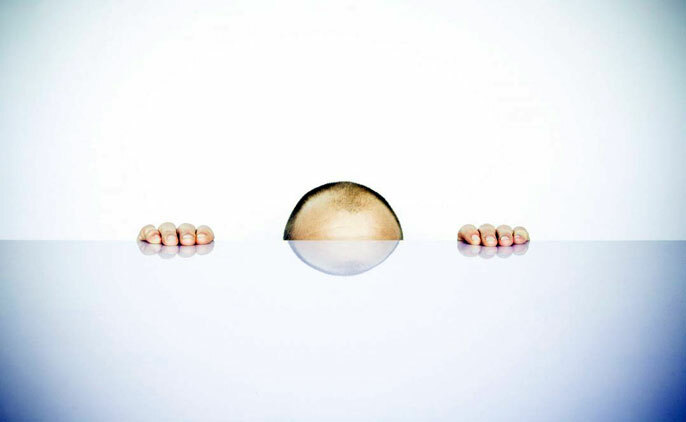 Study findings may lead to new ways of addressing both balding and unwanted hair growth. Instead, University of California, Irvine scientists have discovered that all hairs can communicate with each other and grow in coordination across the entire body. This is regulated by a single molecular mechanism that adjusts by skin region to ensure efficient hair growth — so no bald patches form — and enable distinct hair densities in different body areas. Study co-leader Maksim Plikus is an assistant professor of developmental and cell biology. In animals, this regulatory process is important for survival in the wild. In humans, these findings could lead to new ways of addressing both balding and unwanted hair growth UC Irvine — and further understanding of how regions of faster and slower regeneration work in coordination in other fast-renewing tissues, such as the intestines and bone marrow. For the study, the researchers used the first mouse model of poor hair growth to analyze human-like hair behavior that leads to baldness. Their results appear in eLife, an open-access journal focusing on the life and biomedical sciences. UC Irvine’s Maksim Plikus, assistant professor of developmental & cell biology, and Qing Nie, professor of mathematics, led the effort. Ji Won Oh from Plikus’ lab and Qixuan Wang from Nie’s lab contributed equally to this work. Study co-leader Qing Nie is professor of mathematics. He added that the findings point toward additional signaling factors — besides Wnt and BMP — positively correlated with robust hair growth. Studying these will be the researchers’ next step. Scientists from UC Irvine, the University of Southern California and Indiana University, as well as research centers in Australia, Poland, South Korea and China, contributed to the study, which received support from the National Institutes of Health, the National Science Foundation, the Edward Mallinckrodt Jr. Foundation, the Pew Charitable Trusts and UC Irvine’s Center for Complex Biological Systems.